Financial secrecy is different from legitimate confidentiality. A bank won’t publish your account details on the internet, in the same way that a doctor won’t hammer details of your ailments on the surgery door. Probably the best known flavour is plain vanilla Swiss-styled banking secrecy, where bankers promise to take your secrets to the grave. A second ‘flavour’ involves jurisdictions permitting the creation of entities and arrangements – whether trusts, corporations, foundations, anstalts or others – whose ownership, functioning and/or purpose is kept secret, and sometimes where the very legal basis of ownership becomes muddied. These structures hold assets – which may include, for example, a Swiss bank account, residential property in central London, a racehorse in Monaco, shares in a S&P 500 company, or a yacht – but steps are taken to make it hard to discover who has the power to enjoy those assets and associated income. A third flavour of secrecy relies on jurisdictions putting up barriers to co-operation and information exchange. This may be achieved through deliberately refusing to pursue and collect information held locally. Even impeccable information-exchange agreements with other jurisdictions are worthless if the information isn’t available to exchange in the first place. Alternatively, secrecy may be achieved through an unwillingness to share information with other jurisdictions – whether through a point-blank refusal after a request, or the erection of bureaucratic or other obstacles to information exchange. Many jurisdictions also make a business model out of selective non-compliance with their own laws. Click to watch John Christensen discussing financial secrecy. Our Financial Secrecy Index provides the most comprehensive overview ever created of the offshore system of tax havens or secrecy jurisdictions. Find out which jurisdictions are the most important providers of secrecy, and click here to see more details about the various different ‘flavours’ of secrecy. The links below provide a wide range of useful links and references for those who want to learn more. Jan 2014 – Financial jargon buster – Transparency International. Short summaries of key terms. Oct 2013 – Financial Secrecy Index. Our world-renowned index of financial secrecy jurisdictions. See also What is Financial Secrecy? and our 15 Financial Secrecy Indicators. 2009 – In Trusts we Trust. This long article explains trusts from first principles, and explores how offshore trusts can be used to provide secrecy. 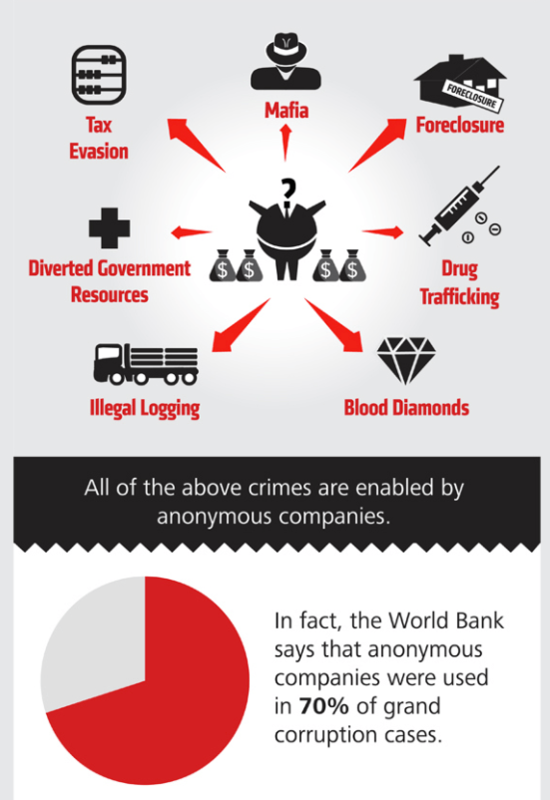 June 2012 – Global Witness’ Idiot’s Guide to Money Laundering, accompanying its report Grave Secrecy. Originals here and here.